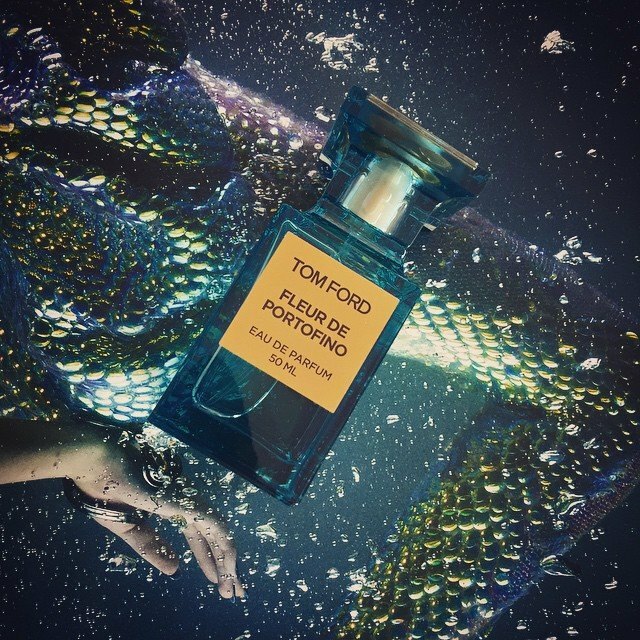 Tom Ford’s Neroli Portofino series is a collection within a collection. Housed like a fragrant Matryoshka inside the Private Blend collection, the four colognes that currently comprise the series (Neroli Portofino, Mandarino di Amalfi, Costa Azzura, and now, Fleur de Portofino) tick all of the required boxes; 1) they smell great; 2) they are so much more than straight-up Eau de Colognes; 3) they’re unique; and 4) they have decent longevity and sillage. Don’t be fooled by the (rather beautiful) transparent bottles cast in varying hues of blue and green, because there are some intriguing, and complex juices within. Fleur de Portofino is the latest addition to the Neroli Portofino collection and it marks a bit of a shift from the world of contemporary Eau de Cologne, to the domain of the floral, where the wistful reigns supreme. The spirit of the collection is well and truly alive here, with lots of aquatic vibrancy and freshness however, flowers take centre stage and the beauty of citrus has been instructed to wait in the wings. The result is a floral that presents a new olfactory take on the mediterranean – one that is teeming with life. Here in the bonny isles of the United Kingdom, the weather is flirting with us. For the last couple of weeks, Mother Nature has been coquettishly winking at us, flashing days of sunlight and pure bliss on to these green and pleasant lands. Of course, we’re in that definite transitionary period between seasons. Spring is here, and Summer is waiting in the wings, but the cold and grey of winter is persistent on some days, meaning that the weather’s dalliance with summer love hasn’t quite taken hold – but soon, it will. I don’t know about you, but these short flashes of summer and glimpses of warmth, and vitamin-enriched days of halcyon make me reach for the lighter things in my fragrance wardrobe (and there are some hidden amongst my show-stopping sillage bombs, as hard as that may be to believe). At this time one craves bracing citrus, the sweet headiness of flowers and the airiness of musk, all of which lead one to think of one perfume genre in particular, a genre that is one of the industry’s oldest and most classic styles – the humble Eau de Cologne. Eau de Colognes speak of lighter, fresher and more vibrant signatures. They are lighter, usually boasting a concentration between 2%-5% and utilise fresh citrus notes (mandarin, lemon and bergamot etc.) alongside herbs (rosemary and thyme) and florals (neroli, lavender, jasmine, orange blossom). 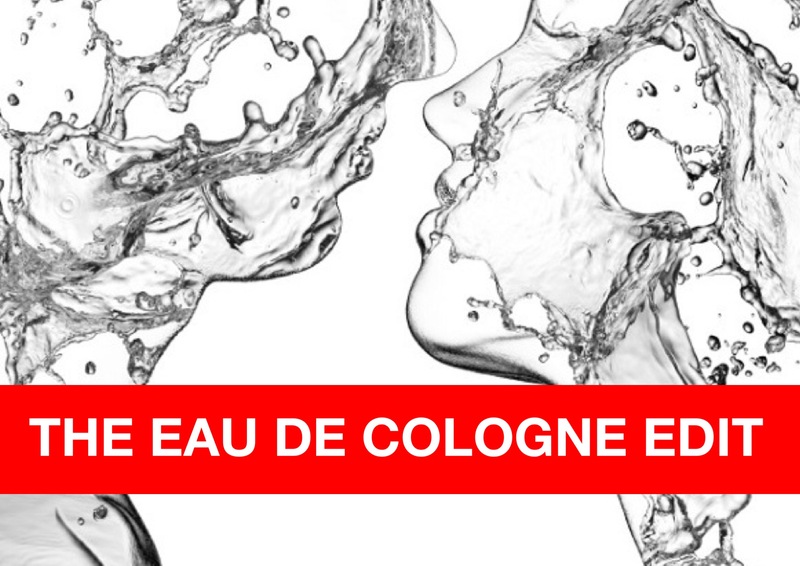 The Eau de Cologne is ephemeral and designed to be splashed on at multiple times throughout the day in order to re-awaken, revitalise and refresh the sense. In short, they are an olfactory jolt to the system. To celebrate the changing of the seasons, I’ve collected together six of my favourite Eau de Colognes for your reading pleasure. They range from the classics, which really are light and traditional, to more modern and contemporary twists on the genre, that manage to smell both unique and long-lasting. So brace yourself, folks, for ‘The Eau de Cologne Edit’ – six scents that will get your nose positively aching for summer.